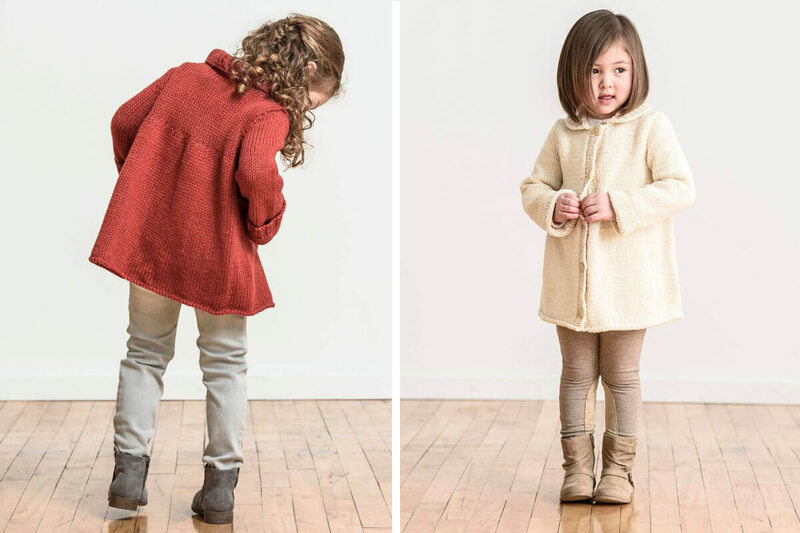 Once you try Spud & Chloë Sweater, you'll find that it's truly lovable. 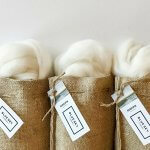 A just-right blend of superwash wool and organic cotton makes perfect yarn for babies, kids, and adults - soft, warm, easy to wash and wear. 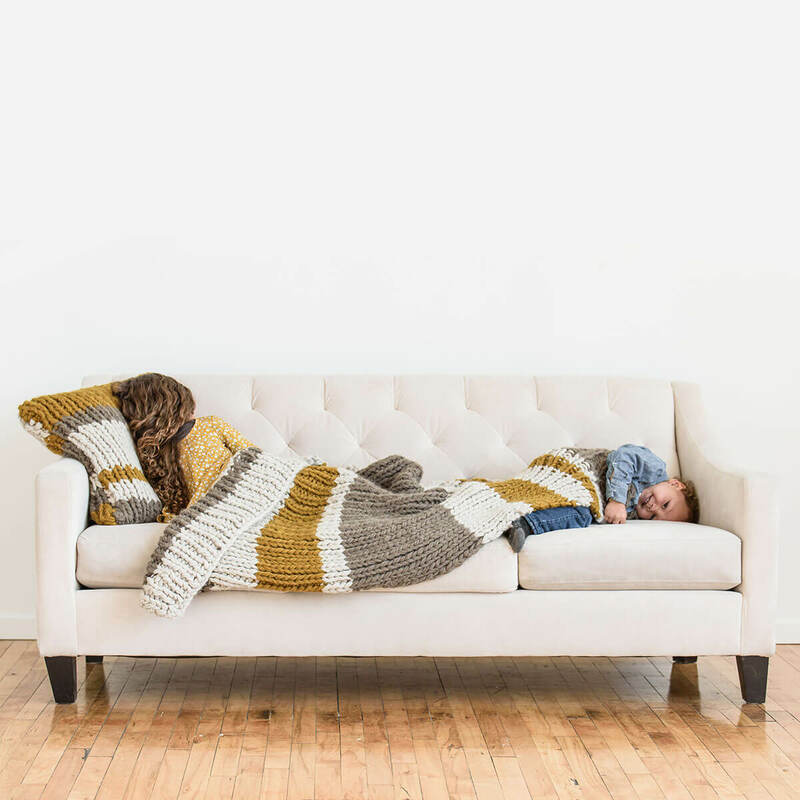 Delicious color choices such as Chocolate Milk, Root-beer, Ice-cream and Watermelon lend endless inspiration for fun and distinctive knits. 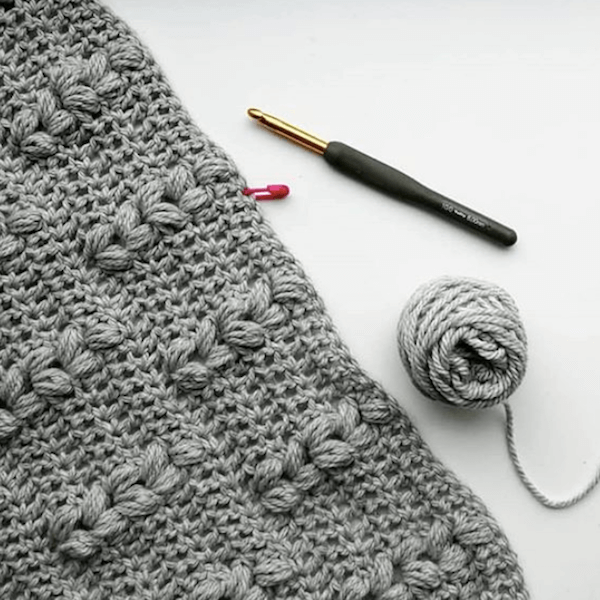 Read on for some favorite projects in S&C Sweater to get your creativity flowing! Washability for busy parents with sweet colors and coziness for baby makes Spud & Chloë Sweater a favorite for growing little ones. 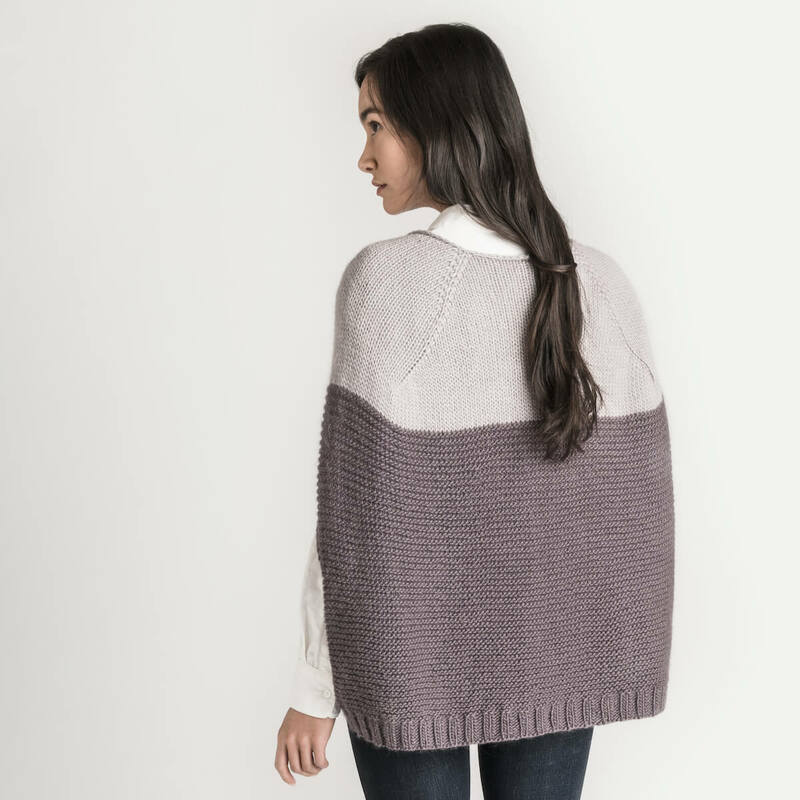 Sweater's blend of 55% superwash wool and 45% organic cotton provides just the right amount of comfort and warmth. 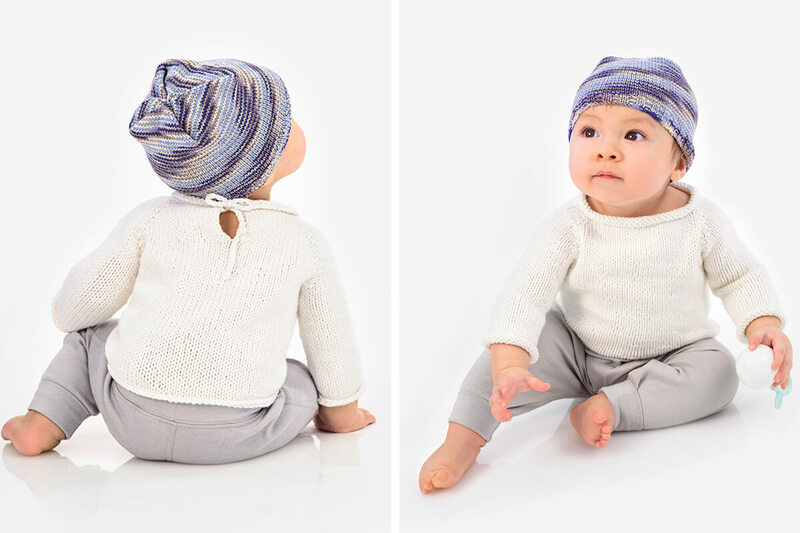 Our Pint Size Pullover & Happy Hat are adorable pieces that will keep up with busy (and messy) toddlers. PINT SIZE PULLOVER in No. 7500 Ice Cream /HAPPY HAT in No. 7863 Blueberry Cheesecake. 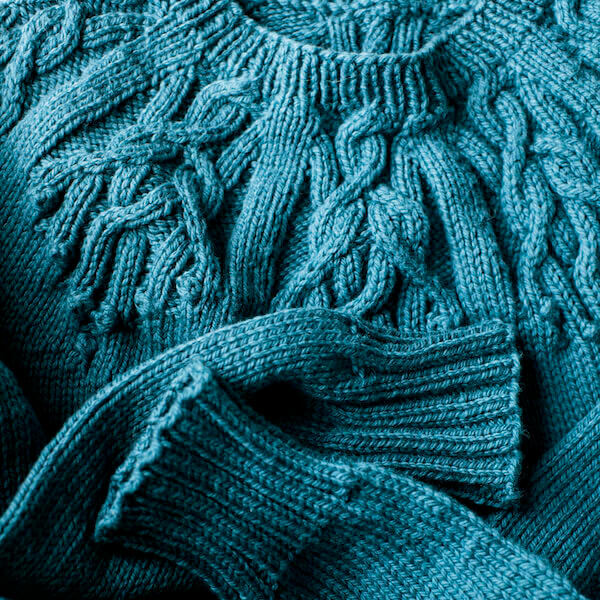 Our 30+ colors in Sweater is like a crayon-box of hues to work with, from fun and bright to classic and natural. 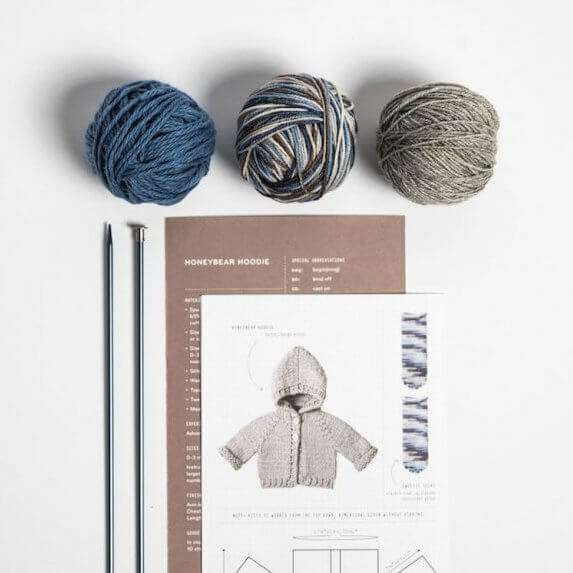 The gorgeous color combinations are endless, and the inspiration we get from our #SpudandChloe Sweater Instagram fans have us excited for so many projects. 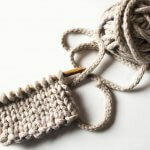 Ready to take your knitting to the next level? 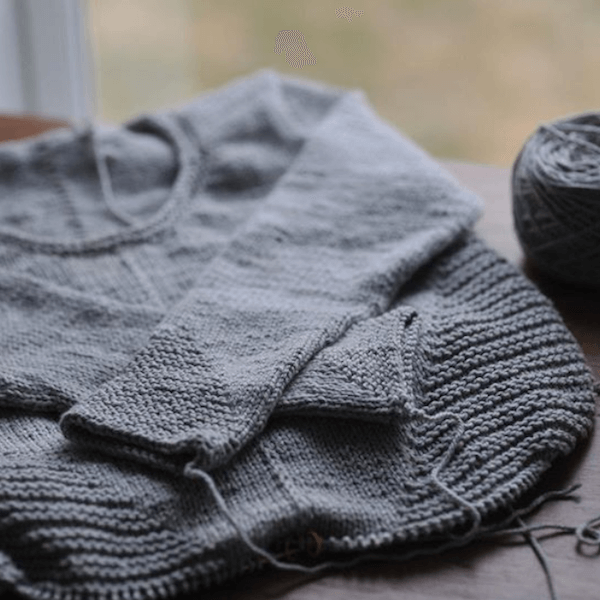 The Can-Do-Cardi is a wonderful intermediate knit for the "can do anything girl." 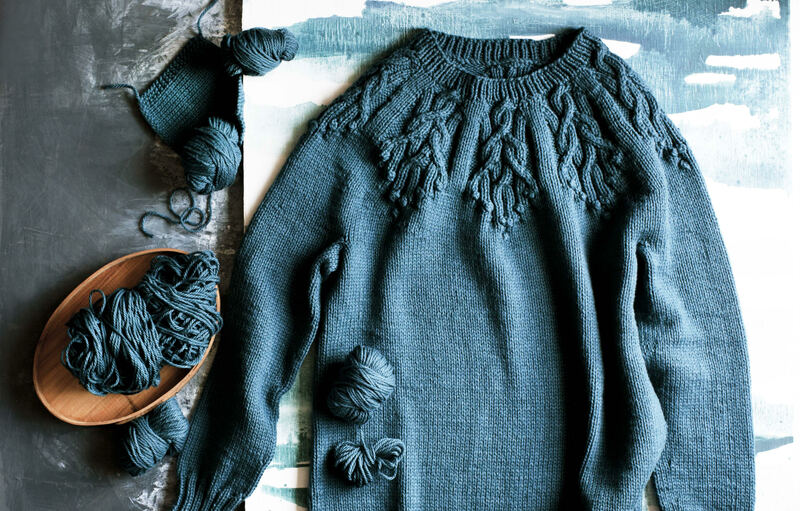 Knit from the bottom up, this is a stylish little piece with big details. Best of all, it washes up great without worry or fuss. 4. Don't Forget to Layer. 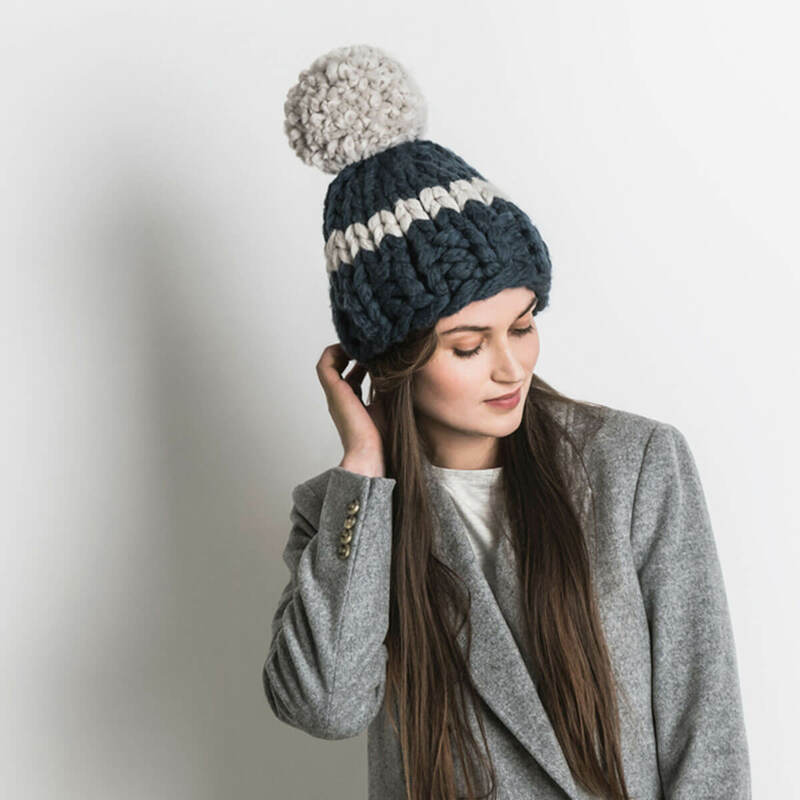 The cold season brings unpredictable weather. Adding an easy layer is the best way to stay prepared for whatever comes your way. 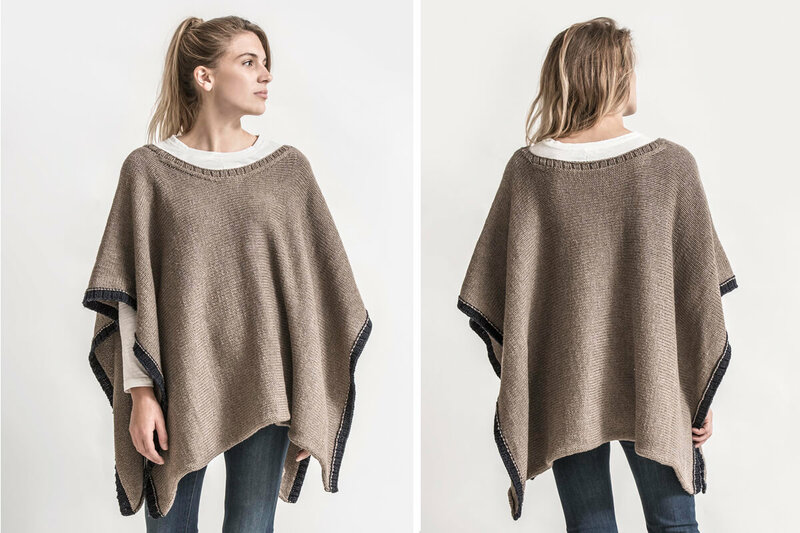 Our Big Splash Poncho provides style and flair with the comfort and warmth of wrapping up in a toasty blanket. Choose your favorite color combinations to lift your mood no matter what the weather may hold. Worked from side to side in one easy piece, this wardrobe staple will be your new go-to.